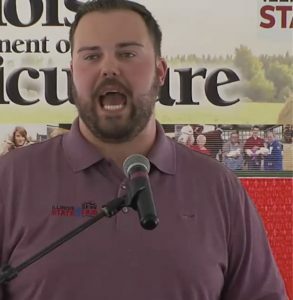 State Rep. Tim Butler will be on sensory overload for the next few weeks and he wouldn’t have it any other way as State Fair festivities take over his neighborhood. 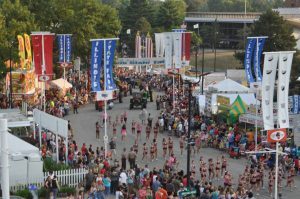 This year’s fair opens Thursday (Aug. 9) and runs through Aug. 19. The fairgrounds are located two miles from Interstate 55’s Sangamon Avenue exit (Exit 100 B). Entertainment includes country artist Thomas Rhett on Aug. 16, Boy George and Culture Club on Friday (Aug. 10), Foreigner, and Joan Jett and the Blackhearts on Sunday (Aug. 12), Paris, Ill.’s own Brett Eldredge on Aug. 17, and Flo Rida and Ludacris on Aug. 18. Raymond Poe, director of the State Fair, said at a press briefing Thursday (Aug. 2) that the fair means $86 million in business to the Springfield area economy and $35 million in wages. Poe, who has done everything from selling cowboy boots to loading manure during the night in his 50 years at the fair, said the forecast looks great for the fair’s run with only one day projected to be above 90 degrees. “I don’t know about the lemonade vendors, but we’re sure going to be happy,” Poe said of the weather forecast. 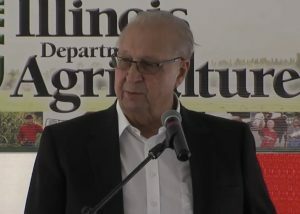 He noted that the fairgrounds’ Coliseum will get another $7.5 million of work this year and be ready for visitors in 2019. The year-round facility under construction will be “another big asset to the state fairgrounds and the city of Springfield,” Poe said. Luke Sailer, manager of the fair, talks about all the help it takes to put on the annual event. Stock car races will once again be part of the closing weekend of fair activities. The State Fair will have a roller-coaster for the first time this year, The Crazy Mouse, as part of its ride offerings. A demolition derby and a rodeo, including bull-riding, are other fair activities this year. Luke Sailer, manager of the State Fair, said it takes a slew of help to make the 11-day event happen. Erin Cleary, marketing bureau chief for the fair, said the Agriculture tent will feature specialty growers and include such fresh fare as apple cider slushies, watermelon, sweet corn and cantaloupe. “They are always a crowd favorite here at the tent,” Cleary said of the specialty growers. 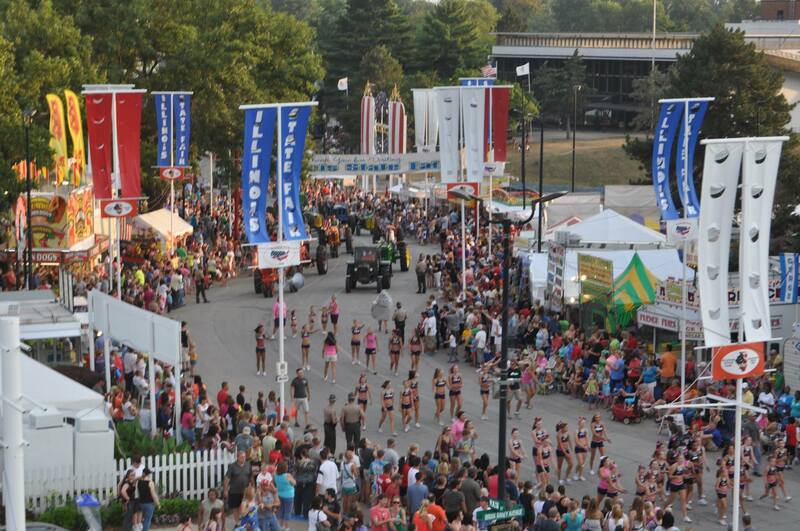 She noted that at 5:30 p.m. every night of the fair, 200 samples of Illinois products will be shared with fair goers in honor of the state’s bicentennial. One of the sample products. Cleary said, will be Twinkies with banana cream filling. There will be agriculture activities for kids, including an area for kids to play in corn, Cleary said. Sailer said an icon of the fair, the Butter Cow, being worked on by Sara and Andy Pratt, will be unveiled at 3 p.m. Thursday (Aug. 9). The Butter Cow has been an icon of the fair since the 1920s. Five hundred pounds of unsalted butter are used to sculpt the life-size figure by hand. Another dairy-related feature at this year’s fair will be “Scoop It Forward,” where people will be asked to spare their change from ice cream purchases in order to pay for an ice cream party for children and families at the Ronald McDonald House in Springfield.